This afternoon the ACT government will deliver the 2016 budget. As there is a local election in October will it be bland, even largely forgettable, like the cautious May federal budget, precursor to the July 2 election? Or, more likely, will our local effort be directed at appeasing the voters, softening them up for the October challenge? If the latter approach, it is an opportunity missed, because while the federal budget was bland the electoral response with a few notable exceptions was a welcome change from the usual expectant cry of “What’s in it for me”. Only an aberration perhaps. We have drifted without concern into what a previous federal treasurer called “the age of entitlement” and while he is long gone the unacceptable dependency remains. Why do we make family payments irrespective of the number of children a couple has, putting pressure on other aspects of government (taxpayer) funding? Should those who chose to live unhealthy lifestyles be picked up by the public (taxpayer) health system? Should those in retirement who have failed to make provision for their future be dependent upon public (taxpayer) assistance? Not everyone falls into the category of lacking responsibility for themselves and family but we have extended the generosity of the public purse too far, to the extent just about everyone is entitled and, unfortunately, too many believe so. Politicians are responsible for this corruption, making all sorts of promises, particularly around election time. The justification is you’ve paid all your life – or are paying – taxes and are entitled to whatever is being promised, forgetting if we hadn’t been paying our way we all would be considerably worse off. Promises often are made without knowing if people can afford to do without the gift or might want to refuse. The ACT’s MyWay transport card for retirees and the proposed free green waste bin for some elderly people are examples, even if these must be applied for. The community bus service and home maintenance scheme are other free concessions which do not appear to be mean’s tested. Why? Welfare groups will protest at tightening benefits but it will be in their own interest because public savings could be directed to helping those in genuine need. We also may direct more funds from such adjustments to provide expensive research and equipment, often the target of well-meaning charities – an area of demand which is growing because governments seemingly cannot afford to do so. There is no guarantee public savings would be passed on to help those in need but tightening up on hand-outs to those not socially responsible and those who do not need them would be no bad thing, a flag on increasing public largesse at the expense of real priorities. As a so-called progressive territory it would be ground-breaking if today’s ACT budget, as an Australian first, recognises this potential for savings and social responsibility and acts within its own financial boundaries to do so, but I won’t hold my breath. The idea behind promoting family welfare actually has a fairly important purpose. I hate the idea of middle-class welfare myself, but many studies have found that it is a necessary evil. Australia faces the same problem many other wealthy western countries do – we have a dwindling young population, and we’re not too far off from having two retirees/pensions for every tax-paying young person. The idea behind the policies like the baby bonuses/childcare rebates is that they encourage population growth, which is something we solely need. Besides, any discussion on ending the so-called “age of entitlement” should be directed towards our welfare budget for the elderly first. That’s what is killing the federal budget (and state health budgets), and that problem is only set to get worse. Pensions reform need to happen, because the amount of people sucking up welfare money while sitting inside their 1.5 million dollar home is absurd. We could save $14.5 billion alone by means testing the family home and creating a retirement income system. The pension system is undeniably broken and is acting like a giant leech on the federal budget. That’s the first place to look if you want to stop the “age of entitlement”. Of course, we will never see that because the primary generation that is whinging about the “age of entitlement” have enjoyed unprecedented levels of welfare money, and now they want to cut that off for everyone else but themselves. The amount of welfare being given out at the moment is bad, but when people mention ending the age of entitlement they are usually referring to cutting welfare for young people. At the moment, that’s like trying to get blood out of a stone. It’s time that debate started focusing on welfare for the elderly. I’m unemployed trying as hard as I can to get a job and your editorial offends me. The previous treasurer you referred to calling for an end to the age of entitlement now sits in flash office in Washington with another plum job, no doubt now smoking Cuban cigars, so you referring to him as an example is hardly inspiring. You say why do we make family payments irrespective of the number of children a couple has, what is it you suggest we do instead? Let them starve? Are you going to be okay with large families begging for food at our shops? Your unhealthy lifestyle comment could mean absolutely anything. For example, if my health degrades as an older person and I end up in hospital because I don’t eat properly or do enough exercise throughout my life, is that an unhealthy lifestyle? Or if I’m injured doing a risk taking physical sport, is that an unhealthy lifestyle? As a smoker I 100% agree that I have an unhealthy lifestyle, but don’t tell me that the government doesn’t charge me through the nose for that, unless of course you can tell me it does actually cost $1 to make one cigarette now and I’m not actually paying any tax. You’re harsh on retirees as well. At 46 I’ve had an up and down life, I’ve not been able to hold down a job the whole time, I’ve even spent time homeless. I now live in public housing and have been trying to get out of the cycle of poverty I’m in for 9 years. I can finally say I’m the closest I’ve been to doing it, but even getting a really good job now, I’m only going to be able to have so much money in my superannuation after such a spotty career, so I have no doubt I will be asking for some form of government assistance when I’m eventually of that age. Unfortunate as that is for me that’s life, sure I wish it could be different but it’s not, and I’m guessing the same goes for a lot of people who do need assistance. So honestly when people come out with this form of opinion, an opinion that has no positive suggestion, answer or ideas all I see someone having a whine about things that annoy them. I don’t mean to be offensive in saying that but I read and hear this sort of attitude all the time and can never understand hearing it come from Australians. I’m all for making sure taxpayer money isn’t thrown away but this idea of cutting everything and starting from scratch isn’t possible. Why? Because as you yourself state “There is no guarantee public savings would be passed on to help those in need”. I agree that the system is broken but it’s a social system that some peoples lives depend upon, cutting it back for all because there are deficiencies in the system isn’t really a practical answer. You talk of them as ‘hand-outs’ and this is half the problem. This is a responsible society looking after its own and one I’m really happy that I was born in to. Your profile says you’ve visited 125 countries, surely you’ve seen the result of what you seem to want in many of them and I bet you were always happy you were a tourist and not a local. 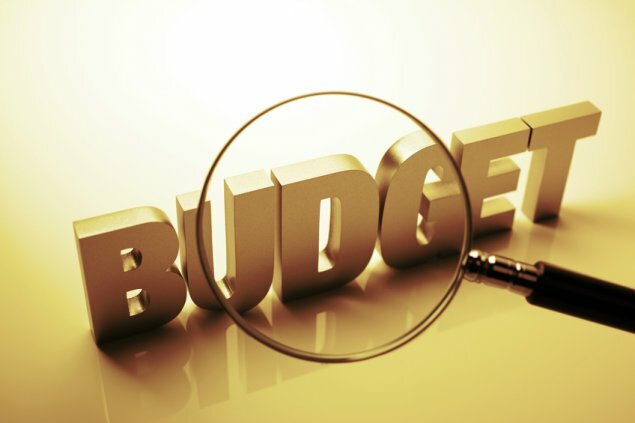 ACT Budget – ho hum!